Looking for church usher theme verses? Below here are the sample biblical theme verses to help you prepare for the occasion. An occasion in the church. We know how precious time is and you need an easy way to have everything in place. We shall not disappoint you,our work is to make sure you find what you are looking for whether you are new or old in preparing for church programs. 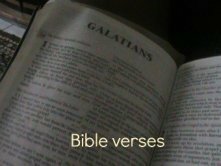 Have a look at this great biblical themes based on verses of the bible. You stretch out your right hand, and the earth swallows your enemies. During the occasion you can choose based on the above verse. It is good to remind the congregation that without God all is impossible,but with our God on our side we are sure of the victory in any aspect of life. Let the Ushers be encouraged that the work they are doing in the service of the Lord is not in vain but it is part and parcel of the calling that God has given us. Therefore you can choose that theme for the occasion. Have chosen the above theme for the ushers occasion because it is comes with a great encouragement to not only the ushers but to each and everyone of us who believes in the power of God. Many times we meet obstacles and hindrances and feel discouraged. This happens to all of us and our ushers are not excluded. That why this theme is coming at the right theme so that we can all know that the work we are doing is not our but , it is the service of the Lord. Whenever the living creatures give glory, honor and thanks to him who sits on the throne and who lives for ever(Revelation 4:9). As you celebrate the occasion in the church. Let the above theme guide you and remind you too whom you are serving. Many times as human beings we love ourselves and always want to talk about our achievements. We forget that we are just creatures created in the image of God and need to bring glory to Him who is in the throne. This is a great theme for the usher occasion and you can choose it for the day in the church.